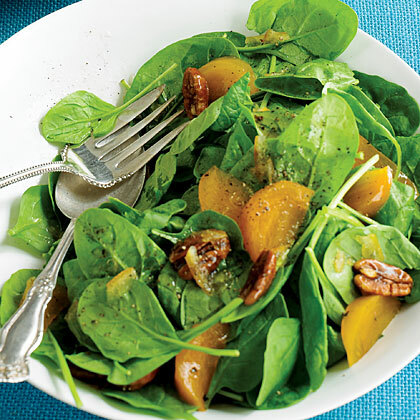 This spinach and persimmon salad is a festive salad perfect for holiday family dinners. In a large bowl, mix vinegar, marmalade, and sesame oil. Add salt and pepper to taste. Add spinach, persimmons, and pecans. Mix gently to coat with dressing.